These are glass hearts that were made in Germany. 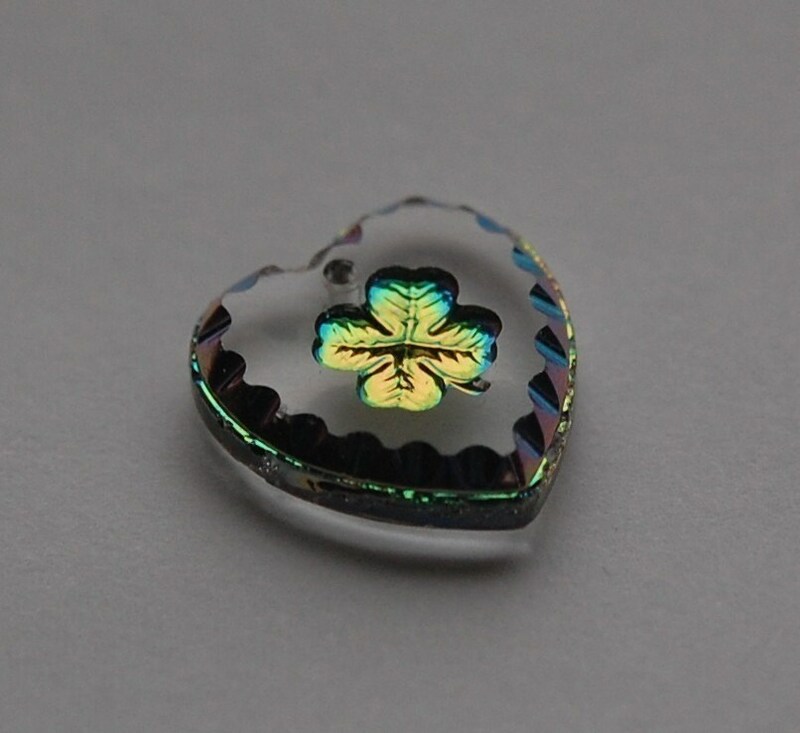 They have an etched shamrock in the center that is green. The green changes color as you turn the piece. This measure 15mm x 14mm. You will receive one of these. A beautiful helio heart! And, it arrived on time. So beautiful! Thank you so much!! Each time I order at yummytreasures I get the most beautiful jewelry supplies, and each time it's just what I wanted! They ship extremely fast, and I was never disappointed! Thank you so much for being such an amazing supplier!